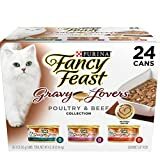 There’s no denying just how much our cats enjoy delicious wet food, but it can be tough to separate the good from the bad in such a saturated market. 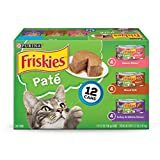 Some brands fill their wet cat food varieties with lots of by-products and fillers, make them less than ideal for your cat’s digestive system. 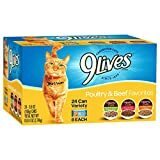 Thankfully, we’ve taken on the hard work for you, and found a few canned options that offer high quality products suited to your cat’s specific needs and tastes. 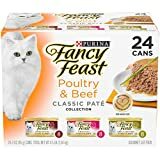 Very good for your furry friend, again buyers have commented on their cats having shinier, silkier coats after using this food. 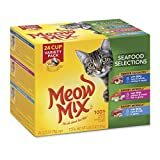 Meow Mix might have my favorite name of any of these brands, and fortunately their product isn’t half bad either. Also comes in a poultry selection if your cat is more of a chicken lover. 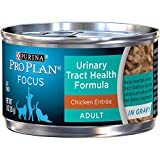 Excellent for urinary tract health in cats, with some tales of near-miraculous recoveries ascribed to this product. This product is a little on the higher end of the price spectrum. This is because of the specially formulated ingredients that contain only what is healthy and essential for your cat. The food in the cans looks like real pieces of shredded fish and a jelly like gravy – not processed chunks of some unrecognizable mush. 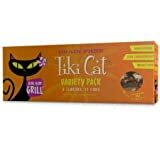 Another popular choice that comes in a variety of flavors, guaranteed to entice your cat’s taste buds. Unique flavors that often aren’t available in stores, and you get it delivered straight to your door! Fancy Feast is a superb product with legions of devoted fans. The quality is as good as you can get without spending obscene amounts of money. The sauces are super tasty and the nutrition is balanced and suitable for cats of any age. Number 1 on our list and number 1 in our cats’ hearts! They wolf this stuff down, even our older moggy who normally has less appetite. 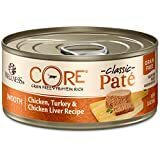 More of a soft pâté than thick chunks, which makes it very good for kittens and older cats. We hope we’ve helped you find something that will tickle the taste buds of your furry little friend. Remember that a cat’s health is the main thing to consider, so don’t be afraid to buy something a little bit more premium. Canned food might cost more, but you’ll save money on vet bills in the long run. Note: Do you have a Bengal cat? Our friends at Pet Gear Lab have a great article about buying food for that particular breed.